← Exploding the myth – Sherborne Rid(e)outs and the Huguenots! In the seventeenth century, English coins were made of silver but, as the value of this metal increased, the coins became smaller until they were of no practical use. 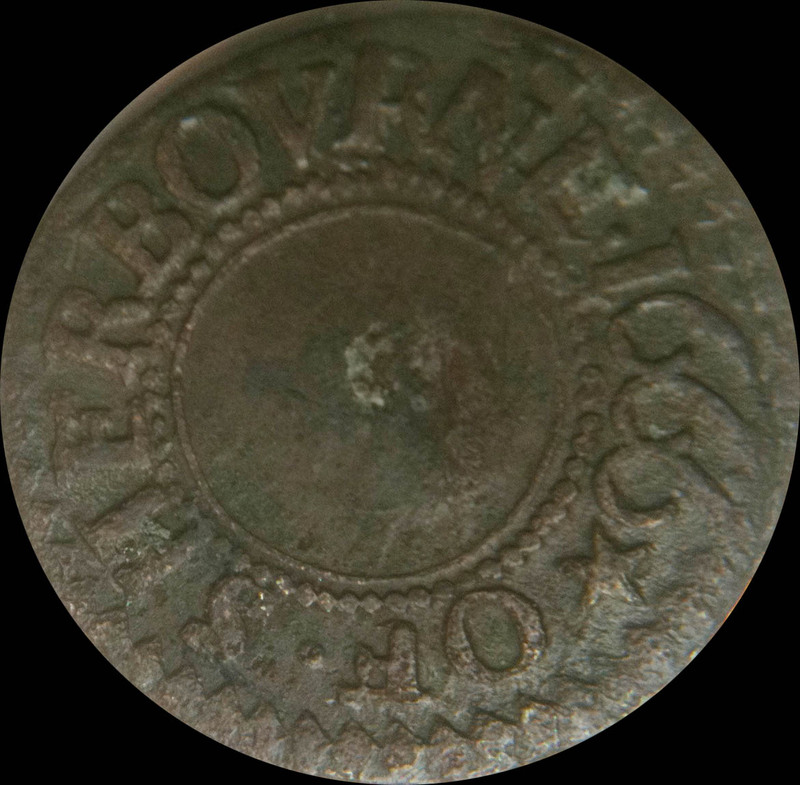 Poor people who may have wished to purchase goods for a small sum of money had no means by which to do so and hence, in response to a demand for low denomination coinage, farthing tokens, sometimes made of lead, were illegally struck by parish officials and local traders in probably every village and town in England. However, on 16th August 1672, King Charles II issued a proclamation which called in these tokens to be replaced with farthings and halfpennies of the realm made from copper. 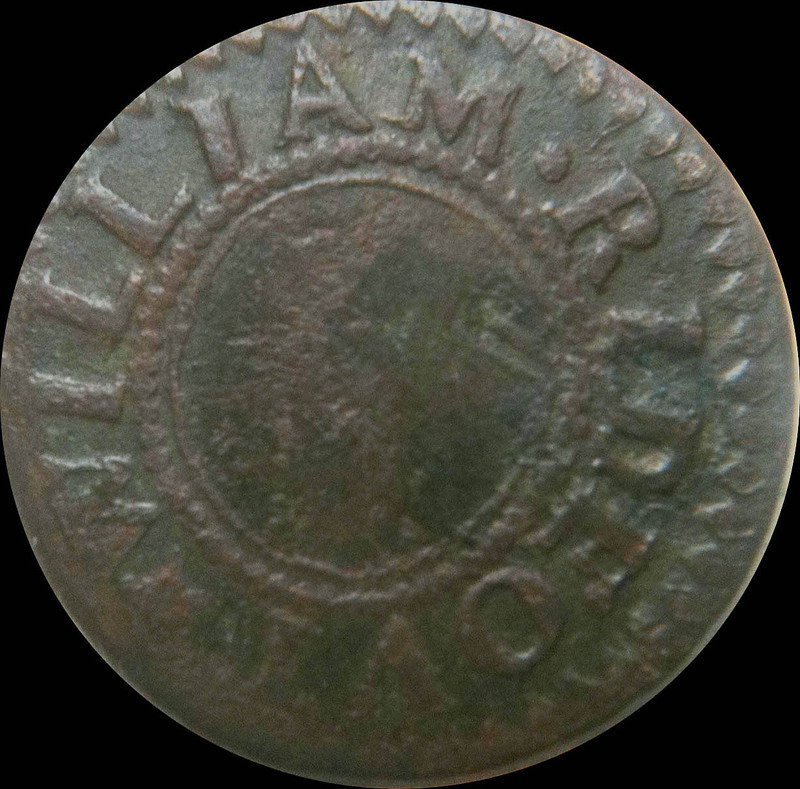 That he struck his own token suggests that William Rideout was a man with something to sell, a local tradesman in Sherborne town perhaps. I cannot know for sure but perhaps William Rideout was the thirty-nine year old great-grandson of William Ridout of Hyle. If so then he was married to a lady called Frances and may, like his ancestors before him, have continued farming at Hyle. Unfortunately, William’s father died intestate in 1630 at just twenty-eight years of age and therefore we do not know what the disposition of his estate would have been. Perhaps William became a merchant instead of a farmer or perhaps this man is unrelated. The 1757 Militia Act directed that militia regiments be re-established in England and Wales. Since it was unlikely that sufficient volunteers would come forward, a type of conscription was introduced in which parishes made lists of adult males and held ballots to choose those for compulsory service. Militia Ballot Lists contained the names of all men between the ages of eighteen and forty-five eligible for the ballot. By the early 1760s the majority of counties in England and Wales held annual ballots requiring yearly lists of names to be compiled. The Dorset lists contain variable information, in some cases the name of the man, height, marital status, number of children, infirmities or previous service, any of which might allow exemption. The Westbury tithing of Sherborne included Hyle Farm, West Mill and other fields and houses in the area including Acreman Street. John Ridout would have been between 18 and 45 years to have been included in this list and clearly he had served in the militia before. My x4 great grandfather, John Ridout was baptised in 1753 – he would therefore have been forty-three. Could this have been him? The almshouse in Sherborne was licensed by Henry VI on 11th July 1437 and was designed to house ‘twelve pore feeble and ympotent old men and five pore feeble and ympotent old women’. Today it still provides a wonderful home for eighteen residents, although the ratio of women to men has changed, there being but one man! In the earliest days of almshouse history, even prior to 1437, Hyle Farm was gifted by its owner and provided an income to the charity. 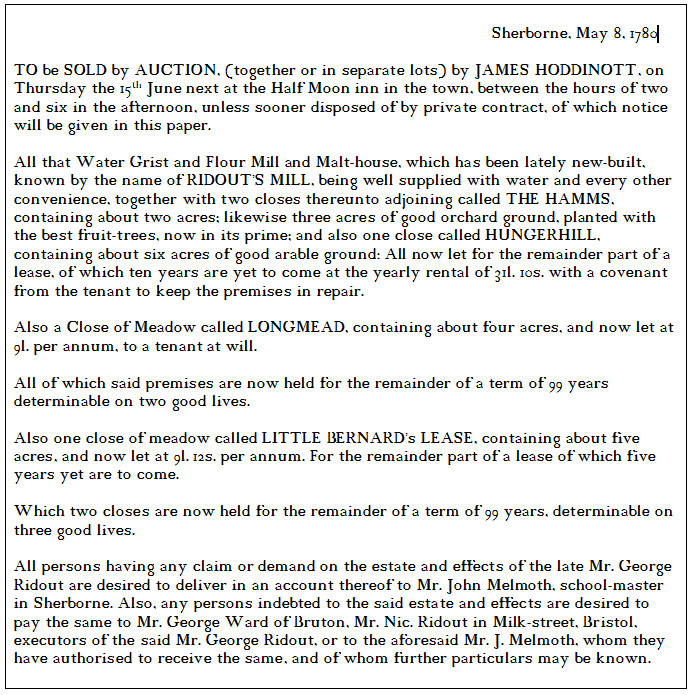 William Couth, a lease for sixty years from 24th September., 8 Eliz., consisting of a farm called The Hyle, Colverhaye 12a (acres)., Hyle mead 5a., Deep lease 6a., Hyle hame 3r (roods) 1a. Rent £2-6s-8d. This means that in the eighth year of the reign of Elizabeth I (1581), William Couth took out a lease on Hyle Farm, also the Colverhaye (or Culverhouse – a pigeon or dove house) Hyle meadow and other land. The total area was twenty four acres and three roods (24 ¾ acres) and the annual rent was roughly equivalent to £350 in 2005. A later reference to Hyle farm says that in 1836, William Humber was a yearly tenant of the farmhouse, garden and piece in front, plus a close of meadow called Home Ground behind the farmhouse (3 acres, 3 roods and 8 perches) plus Hyle Cow leaze adjoining part of Home Close (6 acres, 2 roods, 32 perches) and others. Clearly, Ridouts were not tenants of Hyle Farm as early as 1581 or as late as 1836, which leaves just two hundred and fifty-five years in between to account for! Quite by happenstance, whilst chatting to an archivist in Sherborne school office, we noticed a framed print of a very old map. Further investigation has revealed that the original map was dated between 12 Eliz I (1569/70) and 1574 and was acquired by the British Museum in 1964 having been in other private and royal collections beforehand. It was described in the seventeenth century as being a ‘Description of certain Mannours in Somersetshire’, although the map is almost entirely of Sherborne. Rather quirkily, the map is upside down in that north is at the bottom but the labelling is the other way about which is a bit disorienting. 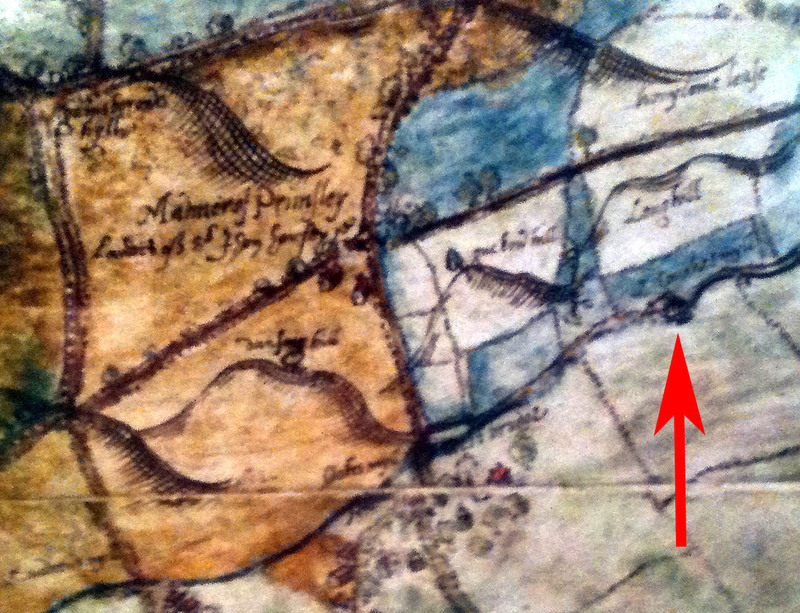 It was just possible to make out what we now call West Mill, labelled ‘Couthes Mill’ (arrowed on the picture). The tenant may well have been either William, Margaret or John, all of whom are mentioned in various records but pre-dated the William Couth in 1581, mentioned above. The text around Hyle Farm is too hard to read on this scanned copy of the original map (which I hope to see when I go to London next week). This entry was posted in General and tagged Hyle, RIDOUT, Sherborne, West Mill Sherborne. Bookmark the permalink. Re Miss Ogle…..according to Ancestry.co.uk she was William the Conqueror’s 15th Great Grand-daughter.